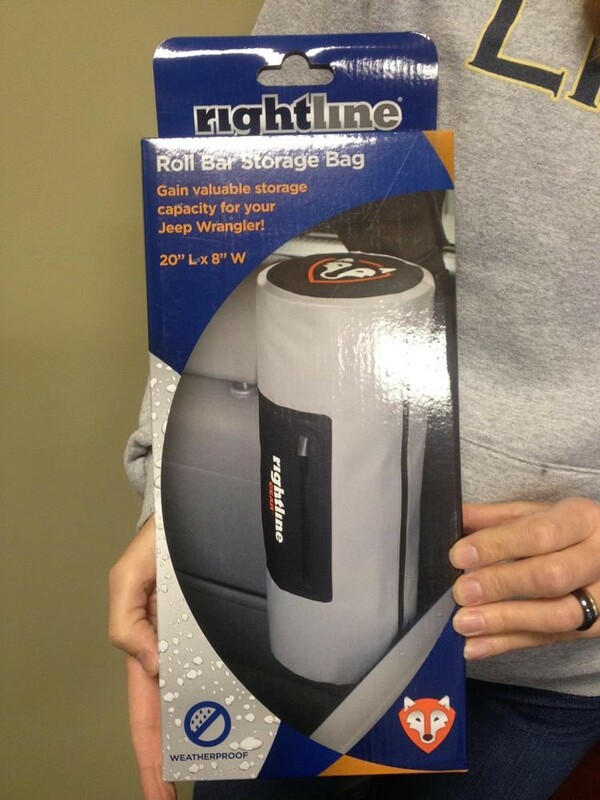 As of January 23rd, the new Rightline Gear Roll Bar Storage Bag is in stock! The first of (3) Jeep Storage Bags, this bag attaches to the vertical roll bars of Jeep Wranglers to hold extra gear. The weatherproof bags work on 2-door and 4-door Jeep Wranglers, JK, TJ, YJ or CJ, with their tops up or down. Please check out our Roll Bar Storage Bag Product Page. Also, read about the award received by this product at the 2014 SEMA Show. For our dealers and distributors out there, we thought you might like to have a first look at the retail packaging. The retail box is designed to hang from a peg hook, hopefully near the register. We welcome any and all feedback concerning this new product from Rightline Gear!